A little brother poking you incessantly. The aggravating beat of that bad song. Another brand trying to sell you something on social media? Most marketers think they know what their audience wants, but rarely do they ask. Social media is no different. Some brands can be straight up annoying on social media. Whether it’s pounding promotions or spouting awkward jokes, brands just don’t know how to strike the right tone. But it doesn’t have to be that way. 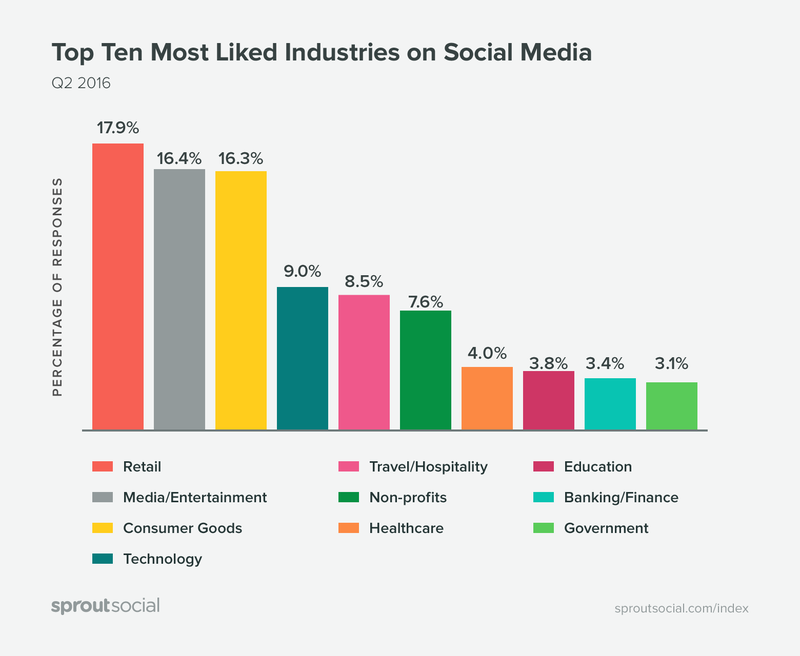 The truth is that 86% of social media users want to and do follow brands on social. But when they do, they’re most often looking for relevant content, not another cringe-worthy post from an out of touch company. 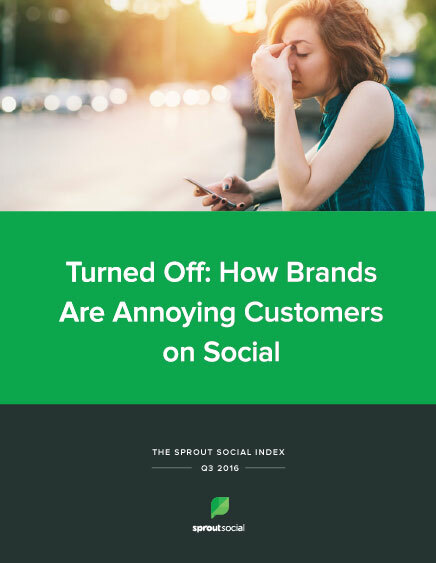 For this report, Sprout surveyed more than 1,000 Facebook, Twitter and Instagram users to determine what annoys them about brands on social, what drives them to unfollow and which industries are on the right side of the line. 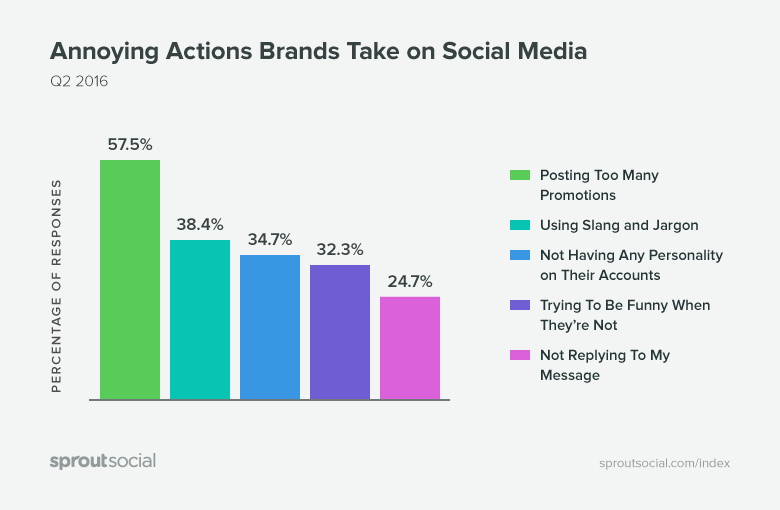 The issue is not that people don’t welcome brand presence on social, it’s that many brands are applying social tactics that don’t correlate with what people want. If you think that people are flocking to your brand’s Facebook Page for BOGO deals and coupons, think again. 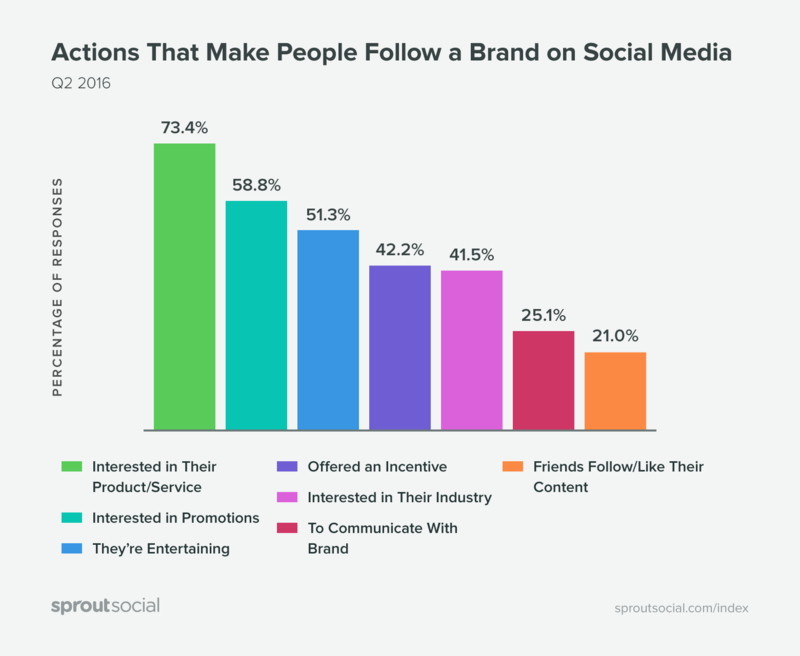 While 86% of social media users follow a brand, nearly 60% of them are annoyed with too many promotions by brands. The perils of over-promotion only escalate if brands are unresponsive. In fact, 1 in 4 people are annoyed when you don’t respond to them. 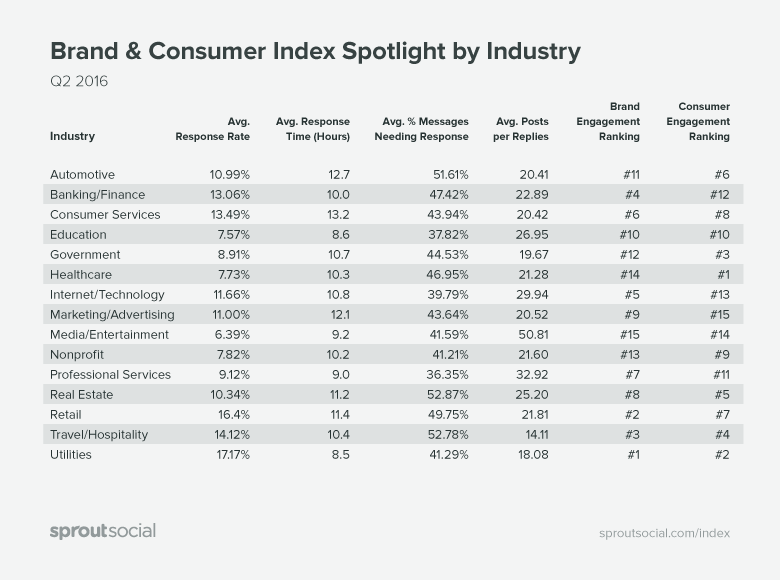 And seeing as only 1 in 10 messages on social actually get a reply from brands, it’s likely that you’re ticking off a lot of fans. One-sided content isn’t the sole annoyance. People are also taking notice of the tone and content of social profiles that just don’t seem to fit. Trying to convince a younger demographic that your legacy brand is hip by inserting “on fleek” and other casual chatter into your posts? You’ll be better off if you stick to being yourself. 38% of people find the use of slang to be irritating and another 32% are annoyed when a brand tries to be funny–when they clearly are not. All that said, you do need to understand and maintain a brand personality because 34% of people find a lack of personality to be just as bad. The Mad Men era is over. Don Draper shouldn’t be managing your Facebook Page and the creative for your Tweets shouldn’t mimic a print advertisement. Regardless of your budget, competition for capturing your followers’ attention is steep. Each one of your social posts is up against a backdrop of cat GIFs, political viewpoints and compelling vacation photos. Instead of bombarding social feeds with stock images or forced copy, do the work: Identify your brand values, collect data, identify audiences and target your content accordingly. Additionally, pull together guidelines that steer clear of over-played phrases and stay true to your brand’s personality. 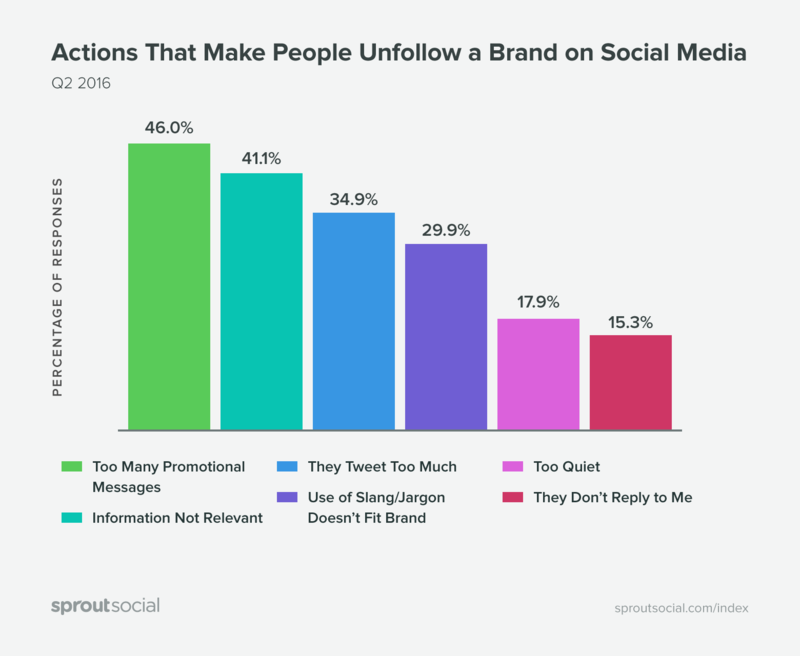 Being annoyed is one thing, but what causes people to actually unfollow a brand? First, let’s explore what gets them to follow you in the first place. 73% of people surveyed said that liking a brand on social starts with being interested in a brand’s products or services. Outside of basic interest, people want something more from your brand. 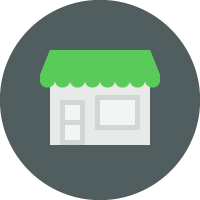 The majority of followers will come to your social profile looking for deals and promotions (58%) or incentives (42%). However, as we quickly uncovered, neither tactic will get them to stick around. Keep that in mind as you’re developing your social strategy–create content that actually means something to your audience. Furthermore, 25% of people started following you so they could have a two-way dialogue with your brand. People want to interact with your brand, so ensure you’re set up for success in social customer care. 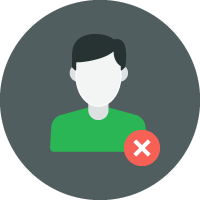 While interest or incentive may bring the bulk of people to your brand’s profile, it won’t keep them there. 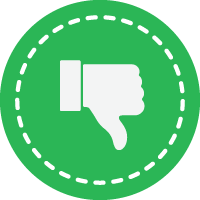 Too many promotional messages not only annoy followers, they also cause 46% of people to unfollow a brand. And in case you needed further proof that a dynamic content strategy is a necessity, 41% of people will unfollow a brand that doesn’t share relevant information. So expand your tactics and be sure you’re diversifying your social content strategy. Whether that’s through curating thoughtful third-party content, sharing more user-generated content, participating in co-marketing opportunities or engaging your communities with interactive quizzes and contests. 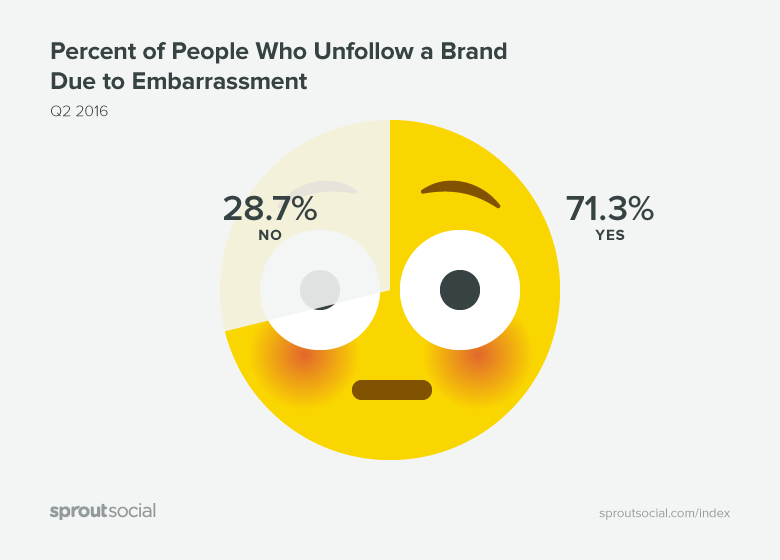 That relevancy takes on even more weight when you consider that 7 in 10 people have unfollowed a brand because they were embarrassed their friends might see. People just don’t want to be associated with brands that are antiquated or ridiculous. While your social profile might not be the full story, a brand refresh on that platform might help your overall perception. When it’s time to measure the impact of your social media efforts, do follower counts matter or are they just vanity metrics? The truth this that while the quality of your followers is definitely more important than the quantity, any shifts in volume speak to a larger trend with your brand. Too many self-promotional or irrelevant posts alienate your audience and prompts them to leave your social channels. If you’re producing relevant, engaging content, your community will organically grow. A staggering 75% of people have purchased something because they saw it on social media. But how many times do they actually need to see a post before they make the purchase? 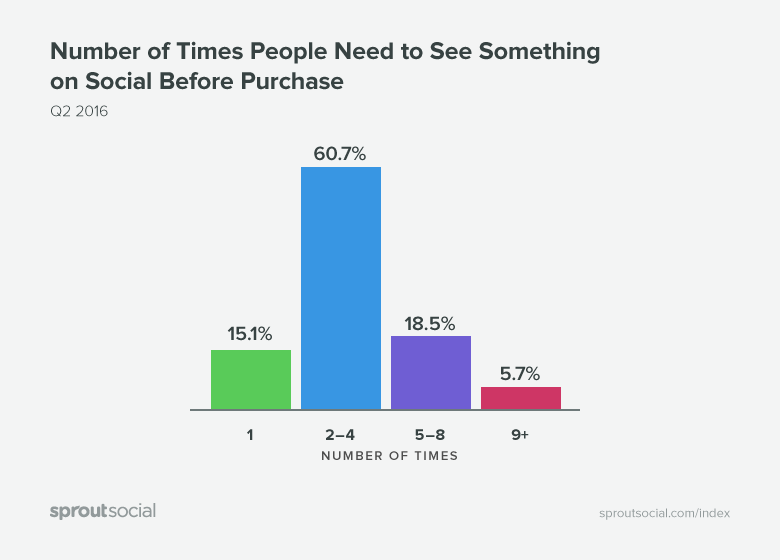 Most people have to see a product or service 2-4 times on social before they purchase it. And nearly 20% of people need to see a social post or advertisement 5-8 times. 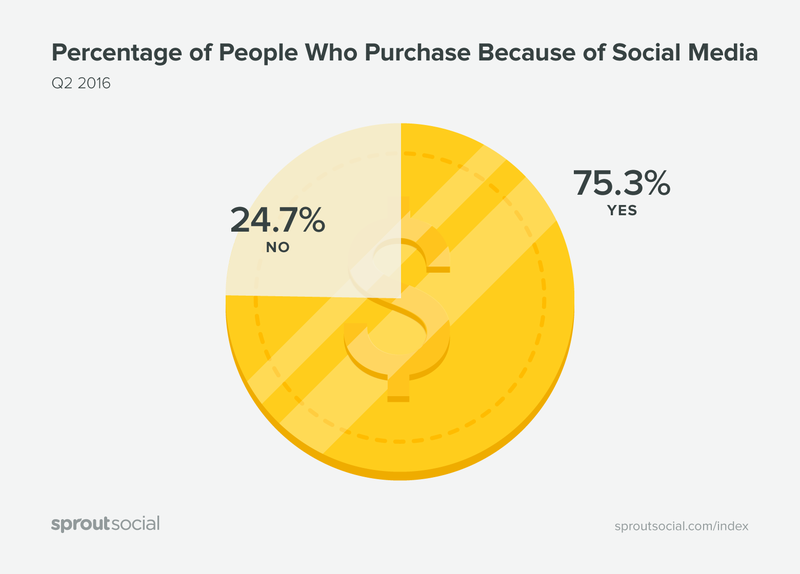 Purchasing decisions prompted by social take time. That’s why it’s important your brand is focused maintaining a steady community of invested followers and analyzing the metrics that can better inform your social content strategy. Again, brands have to navigate a delicate balance between informing their audiences and bombarding them. While you want to ensure your audience sees that post a few times, you can’t hit them over the head with promotions for fear they’ll click that unfollow button. 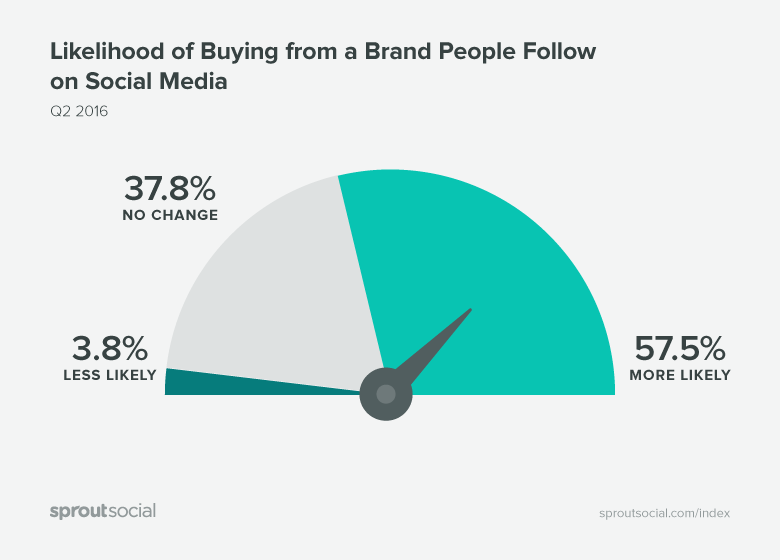 Because our survey found that 57% of people are more likely to buy from a brand that they follow on social, you’ll want to keep those followers. If 57% of people who follow you on social media are likely to buy something from your brand and most people need to see a post 2-4 times on social before they make a purchase, why wouldn’t you better target your followers with multiple messages? In order to be successful, your social strategy has to aim to solidify your brand recognition. You need to ensure that your followers are seeing your posts more than once. That being said, you don’t want to bombard your audience with the exact same messaging over and over again. Minimally edit and revise your social post in order to keep your followers attentive and engaged. Change the headline or photo for a blog article you’re posting on Facebook. Link to your website by including a different quote or data point in your Tweet. Try posting the same product photo on Instagram in different settings and environments and make sure to include an updated caption. A strategic paid and organic social distribution plan will better target your content and put it in front of potential fans who are interested in your brand. Make sure your approach is balanced and that, regardless of whether a post is paid or organic, it’s providing your followers with value. 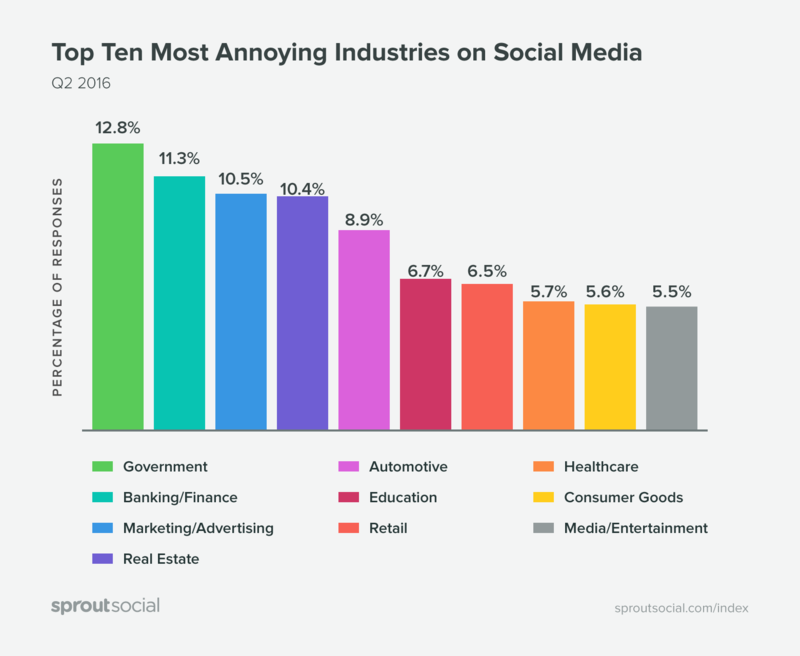 We wanted to determine which industries people found annoying and compare that to our own data around posting behavior. On the flip side, the Government is considered the most annoying industry on social media by those surveyed. This isn’t surprising when you consider that it takes the industry 10.7 hours on average to respond to consumers. Banking/Finance came out in second place in the annoyance factor. Preconceived notions about the industry as a whole clearly play a role, since they’re actually the second most responsive industry according to our data. Perception and reality are often very different. 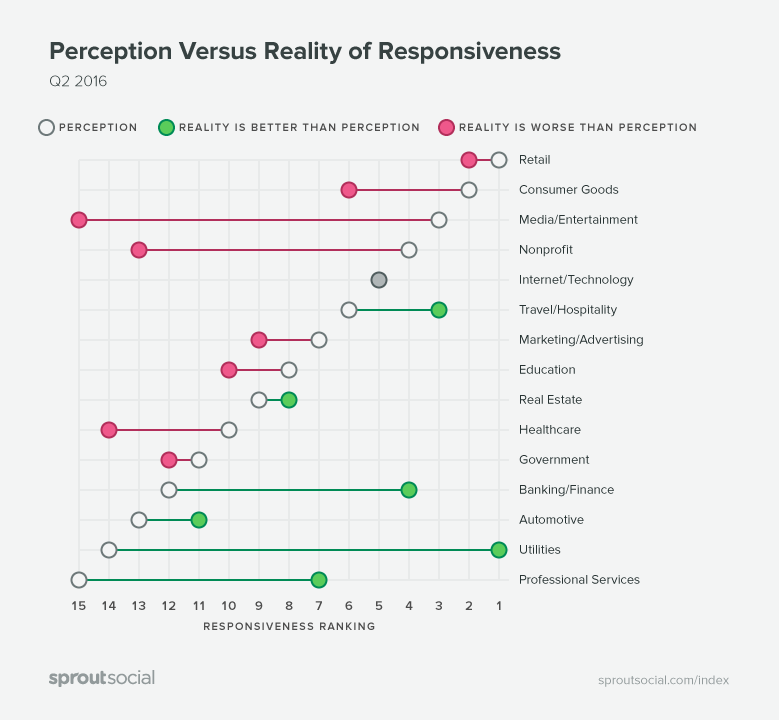 Therefore, we took a look at how brands’ responsiveness was perceived and cross-referenced that with our own data on how each industry actually responds. With some industries, like Retail, people’s perception and reality matched up quite nicely. However, other perceptions were more disparate. For instance, people perceive Media and Entertainment as the third most responsive industry—but in reality they are the least responsive. As we’ve highlighted in previous reports, the industry is plagued by promotions with little to no response strategy on social. Another interesting disparity in perception and reality is the Utilities industry. People think that they’re unresponsive (ranked #14 of 15) but in reality, they are the most responsive of all industries. Your followers aren’t interested in overtly promotional social content or poorly received puns. They want to be informed through content that’s adjacent to your industry and relevant to their interests. They want to be engaged with, talked to and recognized. If the customer is always right, why aren’t you listening? Brands need to start reevaluating their resources to better serve their audience’s needs. With the right team, plan and tools in place, you can start building out a social strategy that converts instead of annoys. Hiring a content team made up of journalists and not marketers is the first step in the right direction. While a million dollar budget isn’t necessary, a content distribution plan that includes paid social is clearly a must-have if you want to succeed in reiterating your brand message and prompting followers to buy your product. 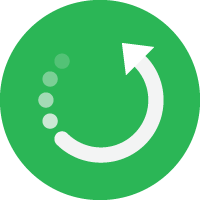 When it comes to social media management, consider a tool that allows you to effortlessly respond. The data doesn’t lie. 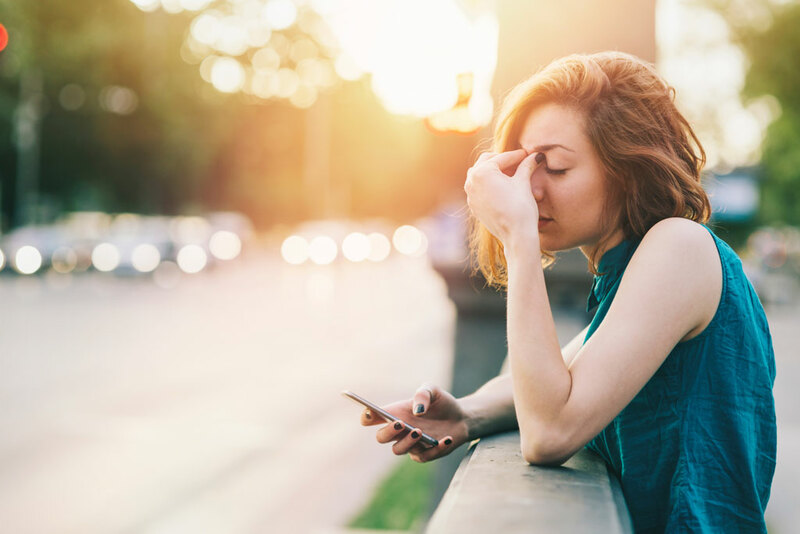 Social media impacts your brand’s bottom line, and the longer it takes your brand to reevaluate its resources and recognize that, the more money you’re losing. The Sprout Social Index is a report compiled and released by Sprout Social. All referenced data is based on 257,000 public social profiles (103,000 Facebook; 114,000 Twitter; 40,000 Instagram) of continually active accounts between Q2 2015 and Q2 2016. More than 2.9 billion messages sent and received during that time were analyzed for the purposes of this report. This consumer survey was conducted by Survata, an independent research firm in San Francisco. Survata interviewed 1,022 online respondents between July 05, 2016 and July 11, 2016. For further information, visit www.survata.com.